TUESDAY, Nov. 6, 2018 -- There were significant improvements in one-year survival among patients with end-stage renal disease (ESRD) initiating dialysis following Medicaid expansion with the Affordable Care Act, according to a study published online Oct. 25 in the Journal of the American Medical Association. Shailender Swaminathan, Ph.D., from the Brown University School of Public Health in Providence, Rhode Island, and colleagues assessed the association between Medicaid expansion and one-year mortality among nonelderly patients with ESRD initiating dialysis. Outcomes were assessed during January 2011 through March 2017. There were 142,724 patients in expansion states (mean age, 50.2 years; 40.2 percent women) and 93,522 patients in nonexpansion states (mean age, 49.7 years; 42.4 percent women). 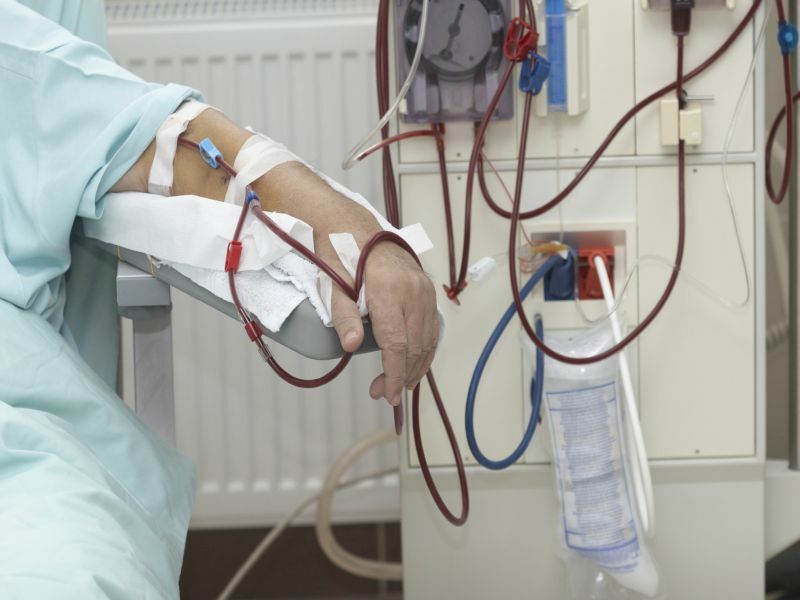 The researchers found that one-year mortality following dialysis initiation declined −0.8 percent after expansion, while the decline was −0.2 percent in nonexpansion states. The largest reductions in mortality were seen for black patients (−1.4 percent) and patients aged 19 to 44 years (−1.1 percent). Expansion was associated with a 10.5 percent increase in Medicaid coverage at dialysis initiation, a −4.2 percent decrease in being uninsured, and a 2.3 percent increase in the presence of an arteriovenous fistula or graft. "Medicaid may have resulted in better adherence to treatment sessions, normally three times a week, because it eliminated co-payments of about $150 per week," Swaminathan said in a statement. "On the other hand, because out-of-pocket medical payments were reduced, Medicaid may have also improved patients' finances, thereby improving health. More research may be essential to unravel this."